If you have some printing needs then you might want to check out Vistaprint right now. 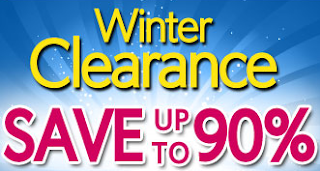 They are having their winter clearance with prices up to 90%. And, on top of that, don’t forget about all the free items that Vistaprint always offers. Like 250 Free business cards, Free rubber stamps, Free pens, Free car door magnets. You can even get Free checks and the process is very easy. The Free checks are only for 25 but you can also get 150 for only $4.99 which is a great deal as well. I’ve order from them several times and the process is always very easy and the delivery is very fast. Actually really fast. I’ve gotten items within a few days which is great for something that is custom.